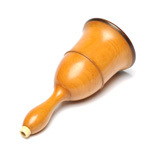 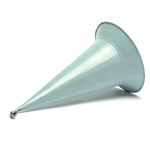 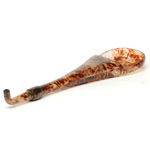 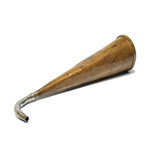 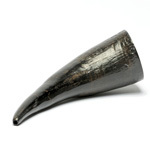 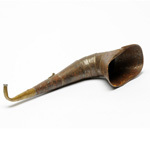 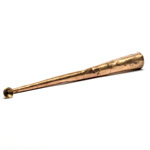 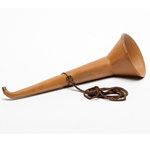 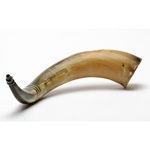 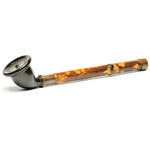 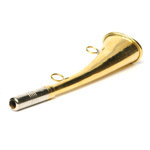 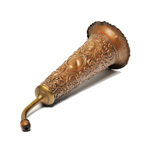 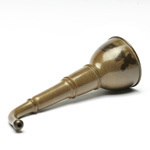 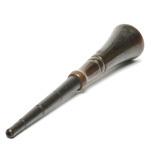 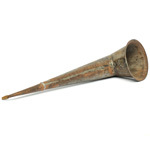 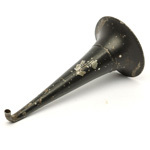 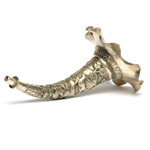 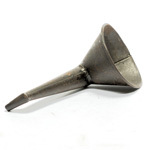 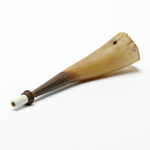 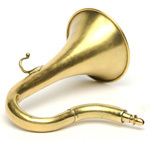 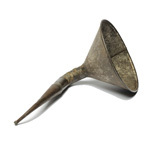 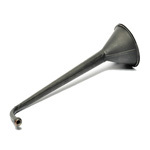 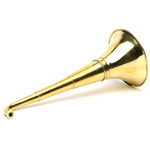 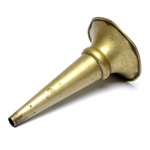 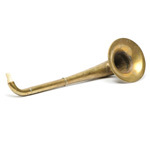 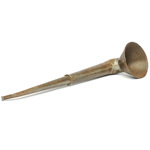 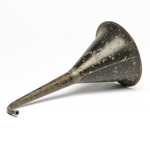 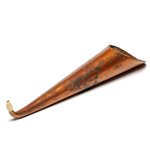 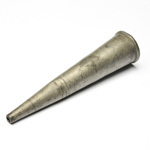 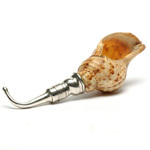 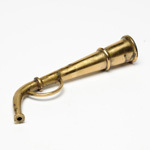 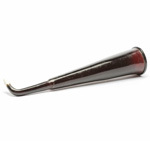 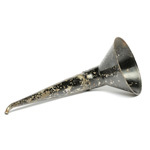 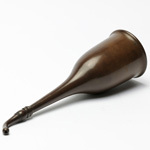 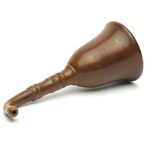 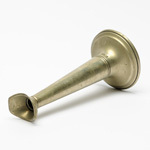 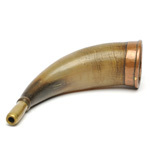 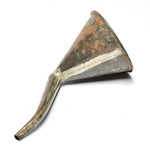 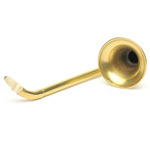 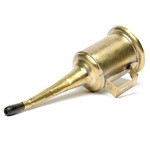 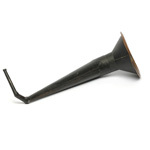 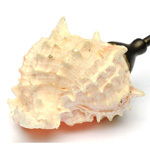 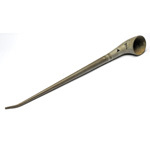 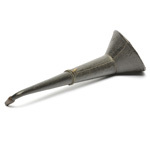 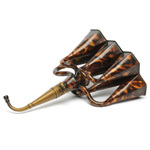 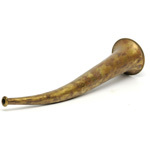 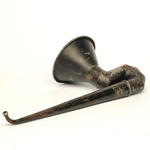 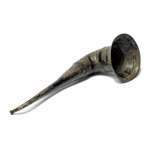 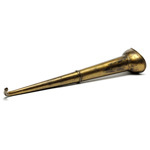 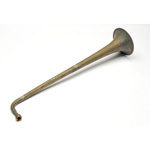 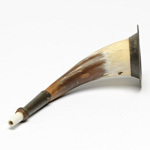 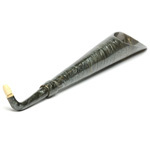 This term is exactly what it says, a one piece trumpet shaped to work when in the ear and with the horn pointed forward. 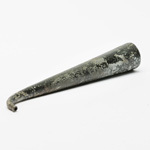 A wide range of materials was used and the longest ones are quite huge - over half a metre. 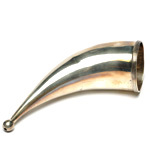 The effective designs had horns larger than ears ! 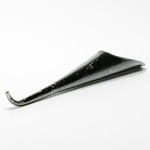 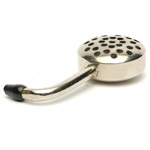 Material range form solid silver to plastic.